Amazon has scored its largest content partnership to date with a new Discovery deal that expands the etailer's Prime Instant Video catalog by 3,000. The agreement covers videos from the Discovery Channel, TLC, Animal Planet, Investigation Discovery, as well as the Science and Military Channel, with newly available shows including Dirty Jobs, Whale Wars, Deadliest Catch, Man vs. Wild and Mythbusters. The new additions will be listed in the coming weeks and push Amazon's streaming library to 17,000 videos. The content is offered as part of Amazon Prime, which costs $79 a year and includes perks across various Amazon services. Along with access to a growing selection of movies and shows, Prime members get free two-day shipping, cheaper one-day shipping and free ebook rentals. Although its streaming catalog isn't as extensive as rivals such as Netflix (which already carries Discovery programs and streams roughly 45,000 videos), Prime offers a solid value if you're invested in Amazon's other products and services. In fact, while it's pricier upfront, Prime is cheaper than Netflix over the course of a year and, again, includes many additional benefits beyond streaming videos. 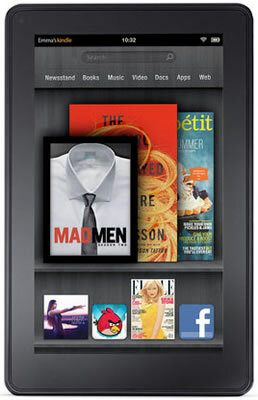 Prime membership has grown to more than three million users with the launch of Amazon's Kindle Fire last year. Just last month, the company landed a licensing arrangement with Viacom that added 2,000 videos from Nickelodeon, MTV, Comedy Central, VH1, Spike and more. Amazon's Instant Video service also offers 120,000 digital shows and movies for rent or purchase.